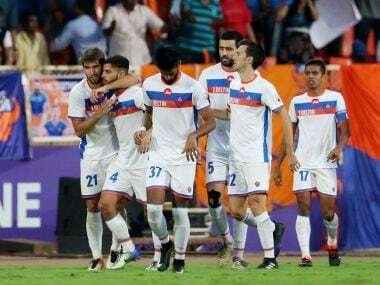 Mumbai: Jamshedpur FC strengthened their chances of qualifying for the Indian Super League semi-finals as they shocked Mumbai City FC 2-1 on Thursday. 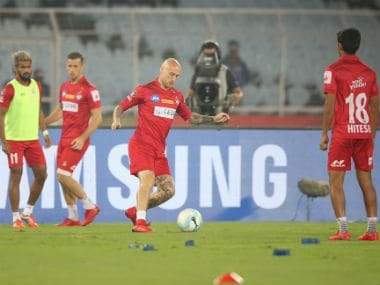 Jamshedpur were second best to Mumbai City for long spells, particularly in the second session, but in the end they ran away with three points at the Mumbai Football Arena. The visitors took the lead after Sanju Pradhan turned the ball into his own goal in the 37th minute. Mumbai equalised through Everton Santos in the 79th minute. But just when it seemed like the match was heading for a draw, substitute Bikash Jairu scored with six minutes left to be played to hand Jamshedpur an important win. However, this was Jamshedpur's 14th match — the most by any team in the league so far. With just four matches left to be played, not everything is in their own hands but the Steve Coppell-coached side will return home happy that they are still in the race. Mumbai City are now placed sixth with 17 points from 13 matches. Jairu was the man who made the victory possible with a late strike but the hero of the night was Jamshedpur goalie Subrata Paul who made several superlative saves to keep the visitors in the game. 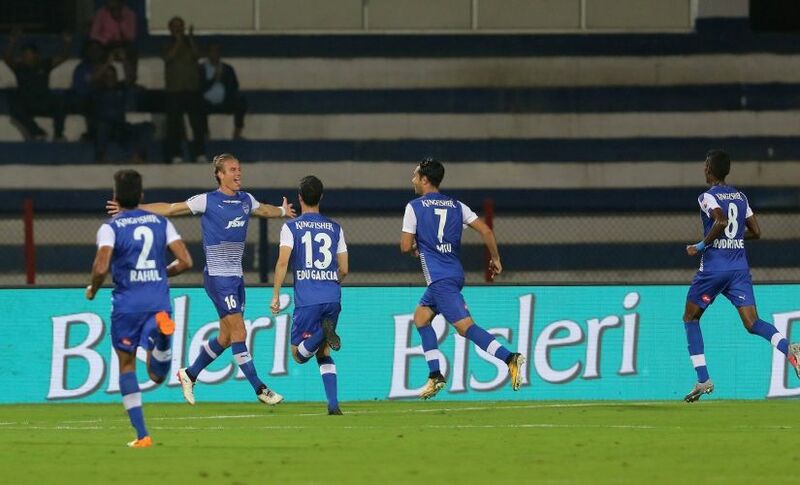 Jamshedpur started with positive intent but lacked the cutting edge in front of goal as their strikers misfired. They needed an own goal from Sanju Pradhan to surge ahead in the 37th minute. Farukh Choudhary danced his way through the middle and took a shot on goal. 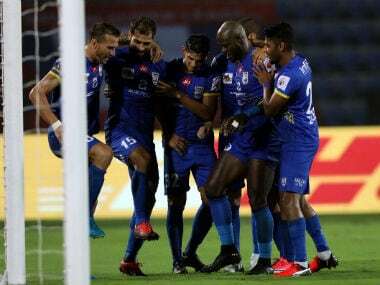 The ball lacked power and direction but to Jamshedpur's luck, it ricocheted off defender Marcio Rozario's heel towards goal where Sanju desperately tried to clear but it was too late. In the second half, Mumbai City changed gears and constantly attacked. Everton Santos, Thiago Santos, Balwant Singh and even Sahil Tavora had chances to draw level. But Subrata was unbeatable, effecting several saves. The goalkeeper, however, was found wanting in the 79th minute when a corner from Thiago at the near post saw Everton attack. Subrata was on hand to keep it away but his hesitant clearance hit Everton and sailed into the net. Towards the closing stages of the match, Jairu made his presence count. It was Andre Bikey who initiated the move from the right by finding Kervens Belfort all alone with the keeper but could not get the better of Amrinder Singh. The rebound fell for Jairu and he made no mistake to hammer it home.